Senate Majority Leader Mitch McConnell is playing political chicken with our lives. Since he and the other Republicans in his 13-member working group are choosing to draft their bill to repeal health care in secret, it’s up to us to share the stories of those who will be affected by this disastrous plan. I was finally able to get treatment. Without Medicaid, I’d be dead. Without Obamacare, I’d have gone bankrupt. Don’t they care about people like us? I’m not worried about myself – I feel compassion for the people who have been helped, and don’t want them to suffer. These are a few of the themes that come through loud and clear in the more than twelve hundred comments we’ve received from all across the country in the first 24 hours after we asked people to share their health care stories with us. Not one state supports this disastrous plan to repeal health care, according to the New York Times. That includes Mitch McConnell’s own state of Kentucky. It’s no wonder the plan is so unpopular, or that Senate leaders will do everything they can to keep the rest of its details under wraps. At least 23 million Americans will lose health coverage under the House version of the bill. By some accounts, there will be even deeper cuts under the Senate’s plan. Getting a “win” on the health care bill has become a matter of pride for Republican leaders in Congress, to the point that it blots out all common sense or room for common ground. They want to funnel tax breaks to their billionaire friends so badly that they’re willing to bargain away our health care behind closed doors. Just because McConnell refuses to hold hearings doesn’t mean we can’t demand to be heard. We’ve already started to share these amazing stories with you, and here’s the next installment of comments from real people who want their senators to put the lives of constituents – not corporations – first. We’ll keep sharing these stories until our leaders hear their constituents’ voices as loudly, and as clearly, as we do. I worked and then came down with Crohn’s disease and lost my home and car, but luckily Medicaid pulled me through a tight spot. I probably wouldn’t be alive right now without it. After a devastating car accident in which my upper arm was totally crushed, the bone was replaced by a titanium rod, which later failed. I lived in excruciating pain for years until I was finally approved for Medicaid. Medicaid not only paid for the surgeries I needed to repair my arm, it paid for the physical therapy which made it usable. Without Medicaid, I would still be living in chronic pain and would not be able to use my arm! I am a recipient of Obamacare, and it is the only thing that I have to be able to afford my for-profit Blue Cross/Blue Shield health insurance premiums! Without it, I would be exposed to possible financial ruin and lack of adequate care because I would not be able to afford to pay for treatment! I currently pay less than $50 a month for a Silver Plan. Without Obamacare, I would have to pay close to $1000 per month. I can’t afford that! Can the GOP “health” plan HONESTLY provide better care and low monthly premiums as my Obamacare plan can? Respected and authentic organizations say “n,o” and so do I.
Medicaid has literally kept my family afloat. For two years before the ACA’s Medicaid expansion, while working in a job that didn’t provide coverage, I had to simply pray that I didn’t need serious medical care. I also went without maintenance care, which could have caused serious problems. I’ve recently started a job that provides me with insurance. However, my brother, cousins, and even my parents are in the same position as I was: the Medicaid expansion is the reason they have had health care access at all. They aren’t the “freeloaders” Republicans would like to make them out to be – they work, but simply aren’t provided with coverage through employment. Also, as my grandparents aged and required more and more care, they were aided by incredibly hardworking, in-home caregivers. These women were able to make ends meet for their own families because they qualified for Medicaid. We should live in a society that allows us freedom from the constant fear of un-payable medical bills. The ACA has made great strides toward making this happen. Any steps backward, including the AHCA, are simply unacceptable. I lost everything in the recession of 2008 – job, house, credit, healthcare.I moved to Nevada in 2011 and shortly thereafter benefited from the Medicaid expansion – thank you Governor Sandoval. I finally was able to obtain treatment for tumors, surgery was successful. Seeking better employment opportunities I moved to Tucson. I have full-time employment, but not a sustainable income. I am sixty years old, but I have no hopes of retirement anytime in the near future. 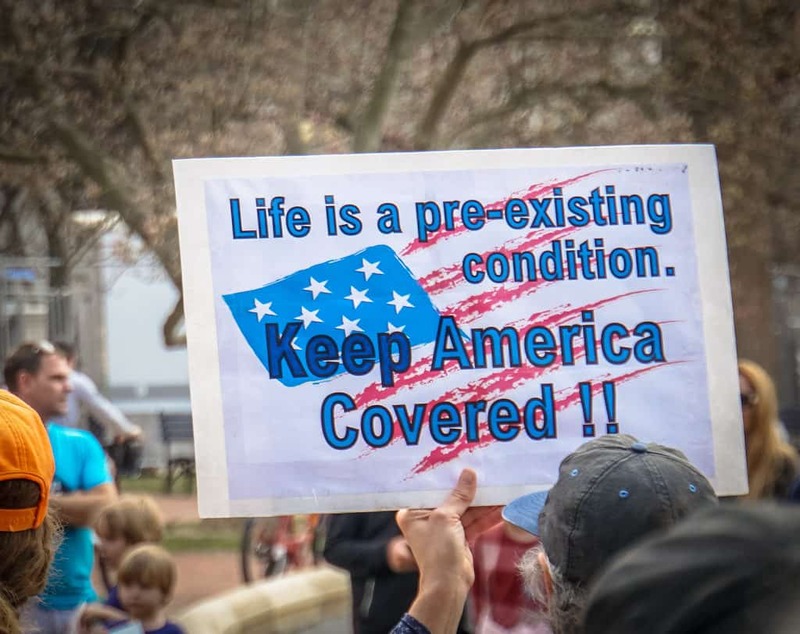 I have pre-existing conditions and worries about and anger about health care. I am angry about the secrecy, about the lack of hearings. I am concerned about the haste. Any legislation that cannot withstand public scrutiny and rigorous debate is beneath a sitting U.S. Senator. The darkness you insist upon for the deeds indicate its shamefulness. My husband would’ve died from a heart attack if we didn’t have health insurance. Because of the ACA/Obamacare we only paid a little over $2,000.00. The hospital bill was $104,000.00. We paid $217.00 per month for our coverage. Plus his heart medication would’ve cost us $400.00 per month but was covered under the ACA/Obamacare so we paid nothing for it. We are now insured through his work. If he loses his job I’m afraid we aren’t going to be covered for anything.